Last night, the 2015 MTV Europe Music Awards took place at the Mediolanum Forum in Milan, Italy. Both Young Money artists Nicki Minaj and Drake received nominations at the awards show, but they couldn’t be in attendance. 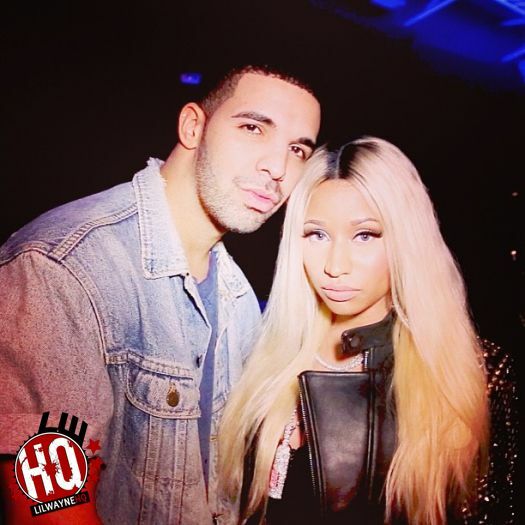 Unfortunately, Drizzy didn’t win any of his 2 nominations, but Minaj did win 1 award out of her 5 nominations in the “Best Hip-Hop” category where she beat out Drake, Kanye West, Kendrick Lamar, and Wiz Khalifa. You can watch the Young Money Barbie‘s speech thanking her fans and the MTV EMAs for her award after the jump below. Congratulations Nicki! The full list of nominations for the 2015 MTV Europe Music Awards were announced yesterday and both Young Money’s Drake and Nicki Minaj earned nominations. Nicki received 5 nominations in the categories “Best Female”, “Best Hip-Hop”, “Best Collaboration” for “Hey Mama“, “Best Look”, and “Best U.S. Act”. Drizzy received 2 nominations in the categories “Best Hip-Hop” and “Best Canadian Act”. This year’s MTV EMAs will be taking place at the Mediolanum Forum in Milan, Italy next month on October 25th. Click here to cast your votes for either the Barbie or Drizzy Drake! Nicki Minaj headlined the 2015 Estathe Market Sound music festival in Milan, Italy on July 8th. Some of the songs that Nicki performed live during her set included “Anaconda“, “All Things Go“, “The Crying Game“, “Feeling Myself“, “Whip It“, “Flawless (Remix)“, “Dance (A$$) (Remix)“, “Truffle Butter“, and “Moment 4 Life“. You can watch the Young Money Barbie perform live in Italy after the jump below! In a few months time, Nicki Minaj will be bringing her “The Pinkprint Tour” to Milan, Italy with a live performance at the 2015 Estathe Market Sound music festival on July 8th. If you wish to attend this festival, click here to order your tickets online. Rae Sremmurd, G-Eazy, and more special guests will also be opening up for the Young Money Barbie!